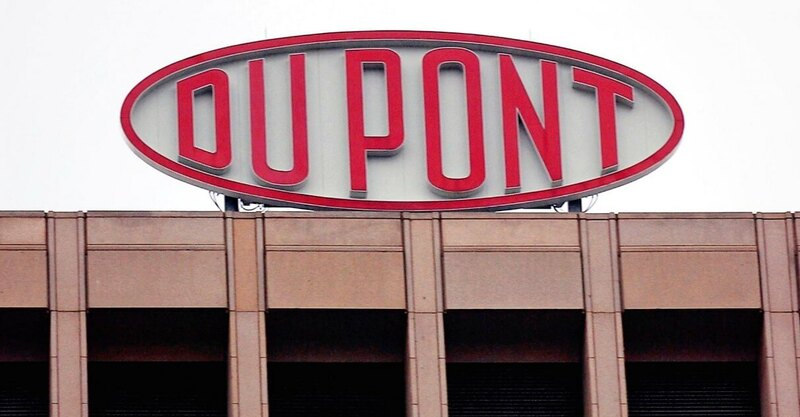 Founded in 1802 as E. I. du Pont de Nemours and Company, DuPont is an American conglomerate that began as a gunpowder mill by Éleuthère Irénée du Pont. In 1912 DuPont established DuPont Central Research, two of the first industrial laboratories in the United States, where they began the work on cellulose chemistry, lacquers and other non-explosive products. Using science to pioneer innovations has been the mainstay of DuPont’s work for two centuries. DuPont exists to solve some of the world’s greatest challenges with an extraordinary range of materials science, chemistry, biological science and engineering capabilities and a corresponding breadth of products to meet the global challenges created by a rising population, a growing global middle class and increasing demands on the planet’s resources. 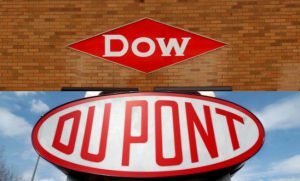 In 2017 DuPont and Dow will combine in a merger of equals to create a highly focused leading business in agriculture, material science and specialty products. Product portfolio includes thermoplastics, ethylene copolymers, elastomers, renewably-sourced polymers, high-performance parts and shapes, as well as resins that act as adhesives, sealants, and modifiers to enhance performance, reduce costs and optimize sustainability. Provides growers with products for a multitude of crops worldwide, with solutions and products to help grow better, healthier crops and maximize crop investment, helping to tackle the challenge of feeding the world’s growing population. Includes solar power; smaller, smarter, more stylish and affordable electronic devices; advance flexographic printing, digital printing and anti-counterfeit solutions for consumer packaging, office and textiles and brand protection. The business’ Bioactives, Biomaterials and Biorefineries segments address markets such as animal nutrition, food, detergents, textiles, carpets, personal care and biofuels. Creating the first biomaterials with Bio-Propanediol (Bio-PDO®) and Sorona® with working continuing on cellulosic ethanol technology. To provide solutions that increase food production while lowering costs and promote good health by lessening lifestyle diseases, including the brand Danisco® and in food diagnostics the company’s leading brand is DuPont™ Bax® system. From first responders and industrial workers, to buildings and transportation. Tyvek®, Kevlar®, Nomex® and Corian® are their latest protection solutions. Transforms workplaces and work cultures to become safer, more efficient and environmentally sustainable. With business operations in more than 90 countries, DuPont Pioneer develops and distributes high-quality corn, soy-beans, sorghum, sunflower, alfalfa, canola, wheat, rice, cotton, pearl millet and mustard seed, as well as forage additives. With end-to-end design and application development expertise that cuts across industries, DuPont works with customers to create packaging innovations that are sustainable and meet business objectives. Sealants and lidding resins preserve flavor, ensure food safety, and prevent waste and spoilage. Other resins and packaging materials keep medical and industrial goods safe and secure from shipment to shelf. With collaboration, packaging innovations create packaging lighter, reducing transportation fuel usage. DuPont’s environmentally friendly printing solutions include a solvent-free thermal plate system for large-format printing. DuPont invested about 1.9 billion dollars in research and development in 2015. Their core technologies, from polymer synthesis, to protein engineering, to biotechnology, provide a base for sustainable innovation worldwide. In 2015, DuPont introduced more than sixteen hundred new products, was granted almost eight hundred new US patents and filed applications for another more than one-thousand US patents aimed at meeting the needs of people around the world. The DuPont innovation delivery system generated 8 billion dollars in revenue from new products launched over the prior four years.